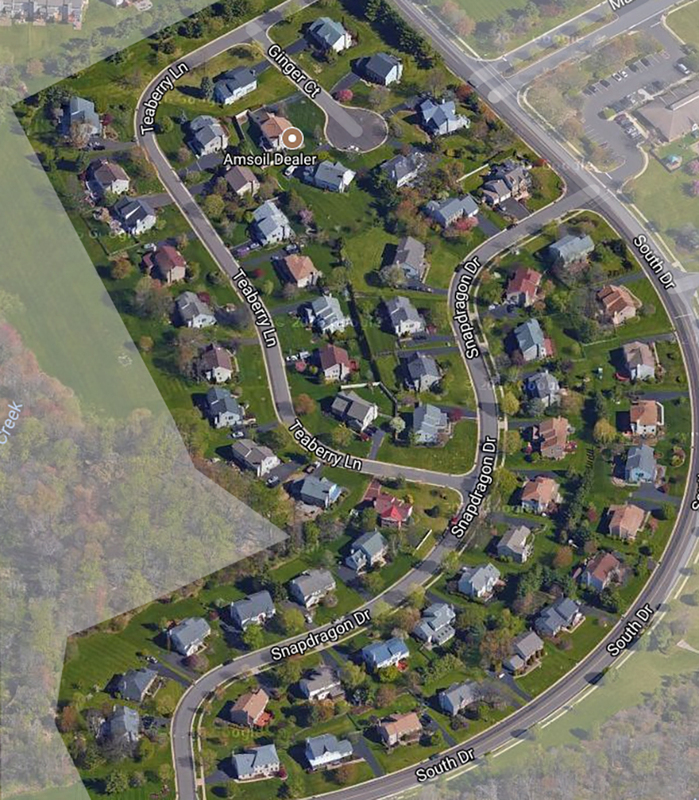 The Estates II is that area comprised of 60 Newtown Grant detached, single family homes located on Ginger Court, Snapdragon Drive, South Drive and Teaberry Lane, in Newtown Township, Bucks County, PA. Access to this sub-neighborhood is from South Drive onto Snapdragon Drive or Teaberry Lane. These homes were built from 1987 to 1988. About a dozen of these homes are split-level and only 2 are ranch homes. The homes are a variety of split level, colonial and contemporary styles. Typical homes range from approximately 1,800 to more than 3,000 sq. ft. The homes have 3 to 5 bedrooms with 2‑1/2 to 3‑1/2 baths. Homes have 2-car garages and full (colonials) or partial (split levels) basements.